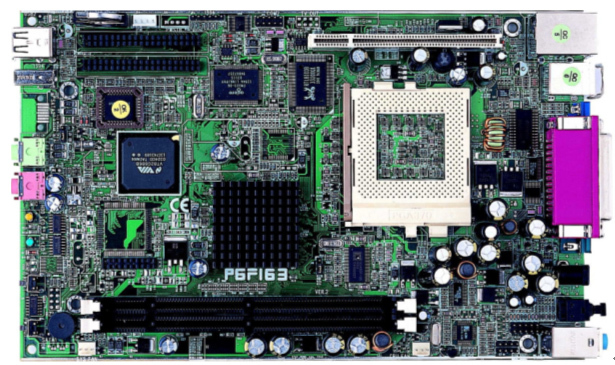 The Freetech P6F163 mainboard has VIA ProSavage PL133 chipset offers exceptional graphics performance provided by an advanced S3 Savage4 3D/2D graphics core and integrated AGP 4X. Combined with PC133 SDRAM and ATA 100 technologies. P6F163 also offers complete flexibility with adjustable 66/100/133MHz Front Side Bus, PC66/100/133MHz SDRAM and VCM support. A wide range of additional integrated features provide Mini PC, Panel PC and Carputer with further scope to reduce the cost of bui s, ATA 100, and advanced power management. 1 * COM Port by cable, 1* IrDA header ready.